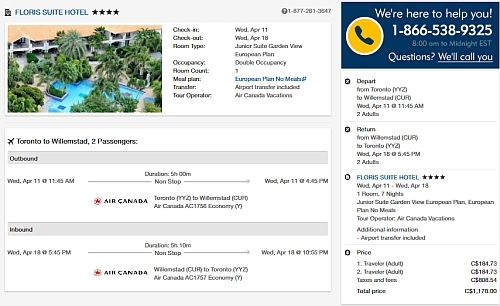 Air Canada Vacations has dropped the price of a 1 week flight and hotel package from Toronto to the Floris Suite Hotel in Willemstad, Curacao down to $589 CAD (per person) including taxes. The Floris Suite Hotel has 4 circles on Tripadvisor with 41% of reviews rating it as Excellent. Note: The Floris Suite Hotel is known as a gay/lgbt friendly hotel. If you read the reviews on Tripadvisor, you'll see it's generally a mix of straight and gay couples. It's also an adults only hotel. 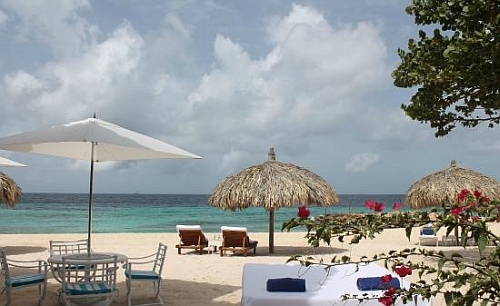 The Air Canada Rouge flights from Toronto to Curacao are non-stop both ways.